The origins of this volume lie in a workshop held at the University of the Western Cape in August 2012, which sought to open a dialogue around Mozambican historiography based on diverse scholarly traditions.1 Workshop participants included members and heirs of the Oficina de História (History Workshop) established at the Centre for African Studies at Eduardo Mondlane University in the 1980s; former students of Allen Isaacman; people exposed to the revisionist school of historiography that developed in France around the work of Christian Geffray and Michel Cahen; and, more generally, scholars of southern African liberation struggles who in various ways distanced themselves from nationalist narratives and deterministic epistemol-gies, especially that of Marxist historiography. Drawing on such broad range of experiences and intellectual traditions, the workshop endeavoured to reflect on the connection between nationalism and the writing of Mozambican history. The Mozambican case was taken as paradigmatic of a southern African tendency, whereby the political legitimacy acquired in liberation struggles - against Portuguese colonialism or white supremacist regimes - generated a triumphalist historical narrative, which became an instrument of state- and nation-building, a catalyst of collective identities, and a tool of power. In this respect, the Mozambican case is both extreme and paradigmatic - an 'exceptional normal', to use Eduardo Grendi's fortunate phrase2 - in that a prolonged anti-colonial struggle gave way to a socialist experiment, however short-lived it might have been, led by a charismatic leader of a revolutionary party. More than anywhere else in the region, in Mozambique the liberation narrative seemed to promise a victory - not only against colonialism and conjunctural Cold War enemies but also against the exploitation of man by man. The workshop functioned as a catalyst for an editorial project that endeavoured to engage contemporary Mozambican historiography, 'on the one hand describing how the writing of Mozambican history has been framed around nationalist narratives and polarised by Cold War binaries; on the other, finding new ways to write events and themes of Mozambican history beyond those very narratives and binaries. '13 To assemble a cohesive and incisive set of interventions, three challenges lay ahead. The first was to include different historiographical schools and political convictions; that is to say, to present a plurality of voices and positions in relation to the central theme. The second was to showcase work from a group of authors mostly based in Mozambique or southern Africa, for whom the issues at hand are not merely matters of academic dispute, but also part of everyday experience or personal memory. This generated another challenge, namely to bridge the language divide that makes homegrown Mozambican historiography insular, as well as too often ignored by north-based Anglophone scholars.14 Engaging in these challenges called for a patient work of dialogue and translation across languages, traditions and spaces. The present volume is the result of these efforts and concerns. The various contributions scrutinise what João Paulo Borges Coelho in his introductory essay calls the liberation script that has infused Mozambique's public history and postcolonial historiography. For Borges Coelho, the liberation script is a narrative of the formation of the nation marked by a specific set of characteristics: it is rooted in the mythic history of the liberation struggle; it follows a linear progression ordered in neat sequential phases; it relies on a set of binary oppositions and on specific notions of experience and subjectivity; it is simple and straightforward; it is flexible, because rooted in oral-ity, but at the same time it is based on a monopoly of explanation by the ruling party and therefore sealed against external interference. The liberation script is an apparatus located at the intersection of power and knowledge, which has legitimised the exercise of authority in the post-colonial period. The articles in this issue chart the inscription of the nationalist narrative across a variety of media, forms and bodies of knowledge production - such as political speeches, photography, poetry, music, song-and-dance, living memory, landscape, academic history, pamphlets and archives. The articles revisit such objects; open them up to new kinds of scrutiny; consider them from varied and original angles; and inscribe them in more complex temporalities and explanations. In doing so, they loosen the liberation script's grip on the writing of Mozambican history. The articles are arranged in such a way as to follow the threads provided by the specific objects and themes that they investigate, and which recur and reverberate from the one to the other. In the first article, Colin Darch and David Hedges explore the inscription of the nation through a compelling analysis of Samora Machel's living voice. The article discusses a speech delivered by the incumbent President in 1975 in the city of Beira, a few months before independence, during the 'Triumphal Journey' from the Rovuma River to the Maputo River. To come to terms with Machel's famously compelling voice, the article recurs to two registers: rhetorical analysis and historical contextu-alisation. In the nooks and crannies of verbal expression, especially in the juggling between various registers of Portuguese and in the usage of staged dialogues with the audience, the authors detect forms of interpellation into a national community. The content of the speech is discussed against the backdrop of the city of Beira - a space of 'colonial and settler resistance' to Frelimo - and in relation to the 'Rovuma to Maputo' journey, which drew the imaginary boundaries of the nation to be. The analysis of Machel's verbal performance is critical without being altogether unsympathetic; this kind of analytic distance is precious, especially as it comes from scholars with a long history of intellectual engagement alongside Frelimo. In the second article, also co-authored, the figure of Samora functions as an entry point to engage the work of the late renowned Mozambican photographer Kok Nam, who passed away on the 11 August 2012, a few days before the workshop that generated this volume. 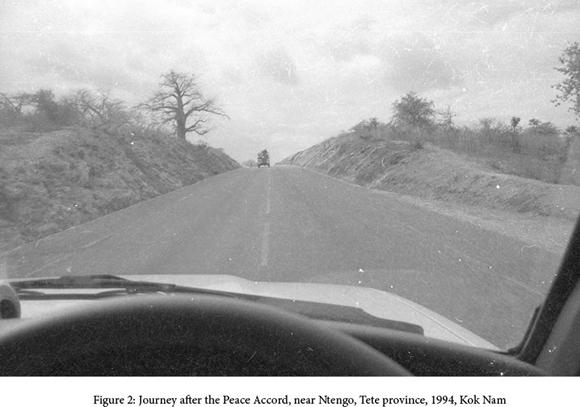 The authors are in an exceptionally good position to carry out such an endeavour: Patricia Hayes has carried out research on Kok Nam since the 1990s, in the context of a broader project on southern African documentary photography; Rui Assubuji was Nam's apprentice, colleague and friend, and was granted special access to his archives. The article employs an original methodology to engage with the photographer's work. Instead of considering photographs as mere historical sources to be inserted in a chronology, the article analyses them as historical interpretations in their own right and reads them as an 'atlas' rather than as an archive. Deep commentaries of specific photographs rely on 'associations' and 'affinities' to explore the building blocks of socialist iconography - Samora Machel and naked soldiers; slogans inscribed on billboards and hand-pushed carts; ghostly communal villages and bridges that the war has broken; pigs, feet and doves. The communal village is the object of a different historical inquiry in the paper that follows. Almost as if zooming into Kok Nam's photograph of a seemingly deserted communal village, Sérgio Chichava explores the conflicts surrounding the village's construction in the historically-resilient province of Zambezia. Since Christian Geffray's controversial book, which argued that Renamo (Resistência Nacional Moçambicana) garnered support from the rural populations on account of their hostility to the project of the 'socialisation of the countryside', the communal village has been central in Mozambican historiography. Chichava defends Geffray's viewpoint, if with some caveats, by engaging with the archive of the Zambezian provincial government, unburied from within 'a pile of papers abandoned in a warehouse in Quelimane'. This archive, unconventional as it might be, enables the author to draw a vivid picture of the physical - and violent - inscription of socialist modernism in the landscape, and of varied expressions of peasant resistance. Malcontent among the Mozambican peasantry was among the objects of inquiry of the socialist Oficína de História ('History Worskhop') at the Centre for African Studies at Universidade Eduardo Mondlane, whose historiographical production is discussed in the article by Carlos Fernandes. The article provides in-depth historical reconstruction of the historical work produced within the Oficína, in the context of the broader intellectual and political debates that were taking place at the Centre. Against Borges Coelho's claim that the liberation script was mostly oral, Fernandes argues that the Oficina was an important site in which the liberation narrative was produced, inscribed and later contested. Discussing the influence of socialist ideology and the pressures to produce a national narrative that would serve as a 'usable past', Fernandes strives to take a balanced position. On the one hand, he discusses the Oficinas historians as instrumental in producing the official narrative of liberation; on the other, he argues that by using a form of 'double talk' they were able to maintain significant critical distance and intellectual freedom. As a result, the Oficina emerges as a terrain of friction and ambivalence. Striving to add to the liberation script other dimensions besides the oral, and reacting to Borges Coelho's intervention alongside the lines of Fernandes' contribution, Drew Thompson discusses photography's role in producing a narrative of the nation in the years after independence. The article contrasts two forms of photography: press photography used by journalists to produce visual representations of the nation, especially in reference to the liberation struggle and its leaders, and studio photography, which depicted subjects classified according to class and social provenance. Thompson argues that these forms of photography should be considered as two sides of the same process; the former as articulating a visual national narrative, the latter an instrument of state control. The article employs the concept of 'self-censorship' to describe the photographers' interiorization of Frelimo's ideological directives on mass communication. After these forays in visuality, landscape and knowledge production, Maria Benedita Basto moves back to the inscription of the nation in voice - only this time, the voice of 'the people'. Her article follows the vicissitudes of the writings of Mozambique's three national anthems, which occurred through a similar process in different historical moments (1975, 1982-3, 1996-2002), whereby a public competition launched with the objective of having the anthem written by popular participation does not yield the expected results and calls for an intervention from above. Basto argues that this failed process of writing the anthems features 'the people' simultaneously as active subjects of the nation and as passive recipients of a pedagogical project of nation-building. Echoing the active-passive people's voice of Mozambique's national anthems, Paolo Israel charts the appropriation of liberation narratives and revolutionary subjectivity in popular dance. The article presents the history of lingundumbwe, a specific genre of masquerading invented on the eve of independence by Makonde women guerillas in the liberated zones of Cabo Delgado, and launched as a provocation against male chauvinism. The changing aesthetics of this genre provide an entry point to discuss the trajectory of gendered revolution, and to undo the linear narrative established by previous historical accounts. The methodological lesson is that popular dance's aesthetics can generate complex renderings of subjectivity and historical consciousness - ones which make room for contradiction, conflict and ambivalence. Staying within the space of the liberated zones, Liazzat Bonate returns to oral history to explore the experiences of Muslim foot-soldiers of the Liberation Struggle, especially women. Bonate demonstrates how Muslim experience is obscured in the nationalist narrative, in favour of an account that privileges the Makonde and Christianity. Her article painstakingly reconstructs the layers of such experience by transcribing and commenting a set of life stories, recorded in the context of the Hashim Mbita project on the study of Liberation Struggles in Southern Africa. This project is one among a few new initiatives that aim to recover the lived experiences of liberation struggles in southern Africa so as to arrive at more plural versions. 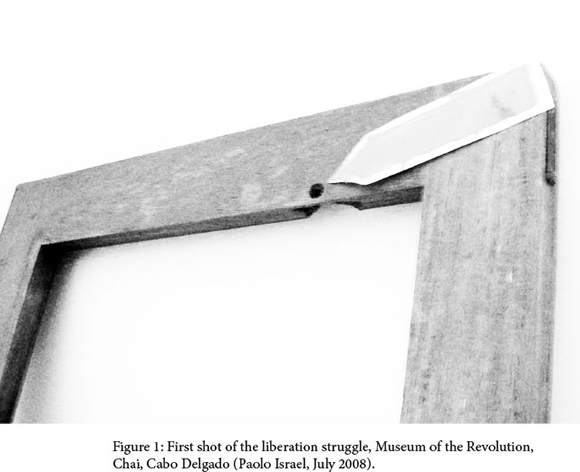 Drawing from experience garnered in the same project and related ones, as well as from precious and restricted material kept at the Arquivo Histórico de Moçambique in the Frelimo collection, Joel das Neves Tembe sets out to challenge one of the central claims of the liberation script: namely, that only Frelimo brought unity and a true nationalist spirit to the anti-colonial struggle. Discussing the historiography of the Mozambican African National Union (MANU) - a party of emigrants based in Dar es Salaam - and reading through documents produced in 1961, Tembe argues that MANU was neither regionalist nor tribalist, as is claimed in official historiography. On the contrary, MANU was shaping a distinct vision of inclusive national independence, promoting education, the participation of women, and a non-violent ideal of anti-colonial struggle. Some of the precious MANU documents discussed by Tembe are reproduced in this issue for the first time. Revisiting MANU's papers is a way of dealing indirectly with Frelimo's monopoly of historical explanation; Amélia Souto engages with the arena of memory and historical production in a more direct way. Her article provides a richly footnoted overview of the main phases of Frelimo's political hegemony over the national narrative - from the early phases in which the narrative was articulated in pamphlets and speeches, to a later stage marked by the proliferation of memoirs and by Frelimo's renewed preoccupation with patriotic history. The article is part of a broader research project which is looking in depth at a range of forms of historical production, such as school manuals, memorials and official pamphlets, that are yet to be analysed in Mozambican historiography. Two review articles complete the issue. Raquel Schefer discusses representations of the liberation struggle in recently-restored films produced in the early years of independence. The filmic dimension of the liberation script is yet to be analysed in depth, and Schefer's intervention is pioneering and refreshing. Michel Cahen discusses José Cabaços Moçambique: Identidade, Colonialismo e Libertação in the context of Brazilian lusotropicalism, and as a courageously academic - but ultimately insufficient -critique of Frelimo's liberation history. The review section includes reviews of two recent volumes on Mozambican nationalism and of a volume that discusses the history of the Mozambique chartered company. The issue concludes with a literary review of a recent novel by Aldino Muianga, interpreted by Francisco Noa as 'an implacable metaphor for [...] a country that appears to have lost the capacity to find in collective memory the inspiration and reference that would enable it to stand up and to look to the future'. The articles not only touch on different media and expressive forms: they are run through with a variety of languages - from the nation's multiple varieties of Portuguese; to Kiswahili, lingua franca of the struggle and of MANU nationalism; to the languages of guerrillas, Shimakonde, Kimwani and Emakhuwa; to Samora's (silenced) interpreter's Chisena; to Echuabo, the language of peasant resistance to villagisation; to the languages of international knowledge production, French, English and Russian. A set of mythological objects recur across these languages, media and forms: the liberated zones, Samora Machel, the Rovuma to Maputo journey, communal villages, revolutionary women, peasants, soldiers, the tchova, socialist intellectuals, the History Workshop, the memory of witnesses; and, on a more abstract level, the revolutionary image, the revolutionary voice, the revolutionary body and the 'popular' revolutionary subject. The articles explore two distinct paths to wrench these objects from the grasp of the liberation script: on the one hand, holding on to their reality by locating them in carefully reconstructed social worlds; on the other, considering them as products of specific knowledge complexes and ideological apparatuses. This implicit methodological lesson - to embrace the criticism of representation without surrendering a commitment to historical explanation - might be one of the crucial contributions of this volume to a broader southern African debate. These matters are not merely ones of academic lucubration, at a time when neoliberal authoritarianism shows no sign of relinquishing the liberation script, but brandishes it anew, even if emptied of its original emancipatory meaning. The roads are once more rife with uncertainty. A convention in Mozambican historiography wants FRELIMO in capitals to refer to the anti-colonial front and Frelimo in lower case to refer to the postcolonial stateparty. We have not followed that convention, leaving the matter to the individual preference of the authors. This typographical distinction is in fact itself enmeshed within the liberation script's chronology, because it posits a definite fracture between the colonial and the postcolonial periods. In a similar way, we realised that other typographical choices - such as italics, capitalisation and inverted commas - are also political matters: the revolution and the Revolution are not the same thing, and suspending 'communal villages' in inverted commas has a definite meaning. Therefore, we endowed the authors with relative typographical freedom of choice. This special issue benefited from the guidance, support and encouragement of a number of individuals and institutions. We are grateful to all of the participants of the August 2012 workshop Não Vamos Esquecer: Dialogues on Mozambican History at the University of Western Cape, which included Rui Assubuji, Ruchi Chaturvedi, Colin Darch, Jacques Depelchin, Uma Dhupelia-Mesthrie, Carlos Fernandes, Patricia Hayes, Paolo Israel, Premesh Lalu, Joel das Neves Tembe, Ciraj Rassool, Brian Raftopolous, Albie Sachs, Drew Thompson, Leslie Witz, Pauline Wynter, and, in spirit, Yussuf Adam. The financial support of the Centre for Humanities and History Department at the University of Western Cape and the Interdisciplinary Center for the Study of Global Change at the University of Minnesota made possible the workshop and the translating of articles for this publication. Colin Darch's contribution to this project was terrific, especially his selfless engagement in the painstaking task of translation. Anna Maria Gentili gave wise advise at an important stage. Patricia Hayes provided precious guidance, insight and moral support at all critical junctures. Paige Sweet was the enthusiastic copy-editor of a number of contributions. Andrew Bank and Jenny Sandler worked closely with us throughout the editorial process, supporting us with their experience, generosity and patience. 1 The workshop, entitled 'Não Vamos Esquecer? Dialogues on Mozambican History', was held at the Centre for Humanities Research, University of the Western Cape, on 15 August 2012. 2 See M. Peltonen, "Clues, Margins, and Monads: The Micro-Macro Link in Historical Research," History and Theory, 40, 3 (2001), 347-359. 3 A. de Bragança and J. Depelchin, 'From the Idealization of Frelimo to the Understanding of the Recent History of Mozambique', Journal of African Political Economy, 1 (1986),162-180, originally published as 'Da idealização da FRELIMO á compreensão da História de Moçambique", Estudos Moçambicanos, no. 5/6 (1986), 30-52. 4 Both Ciraj Rassool and Brian Raftopolous remembered distinctively how that article had influenced their research. 5 Y. Adam, Trick or Treat: The Relationship Between Destabilisation, Aid an Government Development Policies in Mozambique 19751990 (PhD thesis, Roskilde University, 1996), published in Portuguese as Escapar aos Dentes do Crocodilo e Cair na Boca do Leopardo: Trajectoria de Moçambique Pós-colonial, 1975-1990. (Maputo: Promedia, 2006). 6 Adam, Trick or Treat, 38. 8 J. P. Borges Coelho, 'Memory, History, Fiction: A Note on the Politics of the Past in Mozambique', conference paper, Ecole des Hautes Etudes en Sciences Sociales (Paris), 21-22 October 2010, available at http://www.ces.uc.pt/estilhacos_do_imperio/comprometidos/media/jp%20borges%20coelho%20text.pdf, accessed 27 November 2013. The text has been later presented in a different version, 'Abrir a Fábula: Questões da Political do Passado em Moçambique, communication at Coimbra, 1 June 2011. 9 Borges Coelho, 'Memory, History, Fiction', 3. 11 The art collection is composed of artworks collected by Judge Sachs during his stay in Mozambique and donated to the UWC library; it comprises work by Malangatana, Chissano and Matias Ntundu, amongst others. 12 See J. Depelchin Silences in African History: Between the Syndromes of Abolition and Discovery (Dar Es Salaam: Mkuki Wa Nyota, 2005). Jacques was especially - and admirably - wary of making pronouncements about Mozambican historiography, and wished to underline how his own work at the Centro de Estudos Africanos opened up more general historiographical questions. 13 From the call for papers of the 2013 Mozambique Kronos Special Issue, initially titled 'Nationalism and Historiography'. 14 It must be noted that in this respect French historiography has been more attentive to the local production of knowledge, at least in the case of Mozambique. 15 T. Ranger, 'Nationalist Historiography, Patriotic History and the History of the Nation: the Struggle Over the Past in Zimbabwe', Journal of Southern African Studies, 30, 2 (2004), 215-234. 16 B. Raftopolous and A. Mlambo, Becoming Zimbabwe, A History from the Pre-colonial Period to 2008 (Johannesburg: Weaver Press, 2009). 17 See especially C. Hamilton, et al, eds., Refiguring the Archive (Cape Town: David Philip, 2002); C. Rassool and L. Witz, eds., Making Histories, special issue of Kronos: Southern African Histories, 34 (2008); P. Lalu, The Deaths of Hintsa: Post-Apartheid South Africa and the Shape of Recurring Pasts (Cape Town: HSRC Press, 2008). 18 W Hartmann, J. Silvester and P. Hayes, eds, The Colonizing Camera: Photography in the Making of Namibian History (Cape Town, Windhoek, Basel and Athens: UCT Press, Out of Africa Publisher, Basler Afrika Bibliographien and Ohio University Press, 1998). 19 K. Askew, Performing the Nation: (Chicago and London: Chicago University Press, 2002); M. Moorman, Intonations: A Social History of Music and Nation in Luanda, Angola, from 1945 to Recent Times (Athens: University of Ohio Press, 2009). 20 C. Geffray, La Cause des Armes au Mozambique: Anthropologie d'une Guerre Civile (Paris: Karthala, 1990). For a critique see A. Dinerman, Revolution, Counter-revolution and Revisionism in Post-Colonial Africa: The Case of Mozambique, 1975-1994 (London: Routledge, 2006). 21 See amongst others Michel Cahen, Mozambique: La Révolution implosée (Paris: L'Harmattan, 1987); Victor Igreja, 'Memories as Weapons: The Politics of Peace and Silence in Post-Civil War Mozambique', Journal of Southern African Studies, 34(3); 539-56 and 'Frelimo's Political Ruling through Violence and Memory in Postcolonial Mozambique', Journal of Southern African Studies, 36, 4, (2010), 781-799; E. Morier-Genoud, ed., Sure Road? Nationalism in Angola, Guinea-Bissau and Mozambique (Leiden: Brill, 2012). 23 'Revisionism in history is not the circumstantial consequence of political biases or of the intellectual taste for paradox. It is the final term of this politics of suspicion by which the social sciences must exhibit their belonging to science - with even more force, since this belonging is increasingly contested. And the particular fragility of this history exposes it to the limit of this suspicion: the declaration of the object's nonexistence. The core of the revisionist formulation in general is contained in a simple formula: nothing happened such as it was told' J. Rancière, The Names of History: On The Poetics of Knowledge (Minneapolis: University of Minnesota Press, 1994), 36.